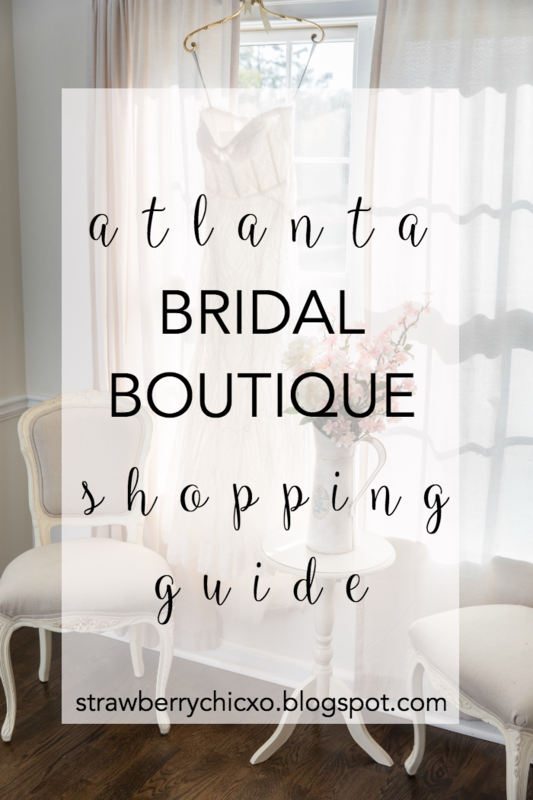 I wanted to share a quick little cheat sheet from my experiences shopping at bridal boutiques in Atlanta so all of my fellow ATL brides can have a little inside scoop to the type of boutiques they want to visit. 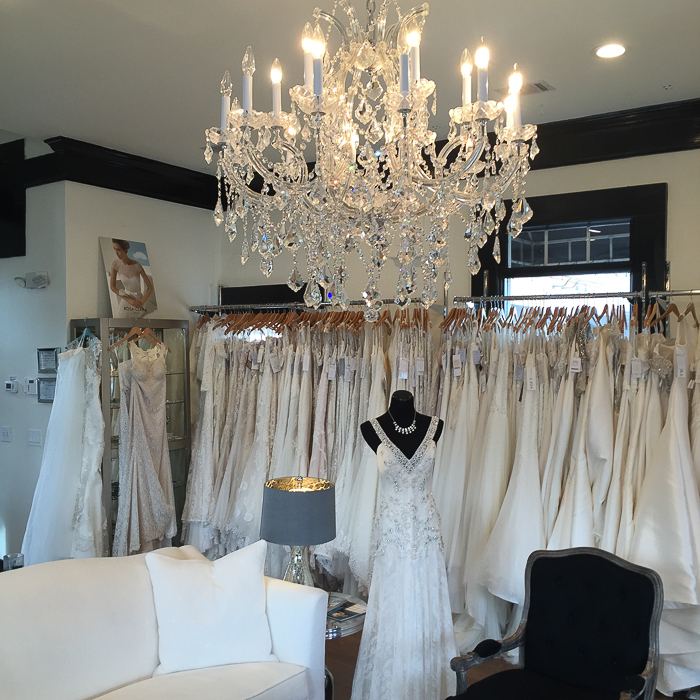 If you missed my wedding dress shopping experience, you may want to read that before heading out for you appointments because I shared a lot of shopping tips and tricks! Seemed to be the only shop that offered different perks: when I went they were offering a free veil. Right next to the bridesmaids shop. You can see how the dresses will look next to yours. This was the only boutique that had someone from alterations there to talk me through what to expect in my fittings. This may depend on day/time you go. I wasn’t clicking with the options my consultant was putting me in, but maybe that is because I didn’t really know what I wanted? Very small fitting rooms, especially for bigger dresses + the consultant in there with you while you changed. It was cool to go to because of the show, but don’t go on a Saturday or weekend when they’re busy. I felt like I was in a beehive and it was very loud / busy. Go on a weekday if you can fit it into your schedule. Dresses are in bags so it’s a little harder to tell if you want to try them on, but it did keep them looking nicer than other samples I tried on. Not intimate. Multiple girls will be looking into the same mirror and trying to have their “moment”, plus I felt uncomfortable trying on gowns in front of everyone else’s entourage and watching them talking about the dresses on me. Budget friendly, most selections are around $1000 and under. 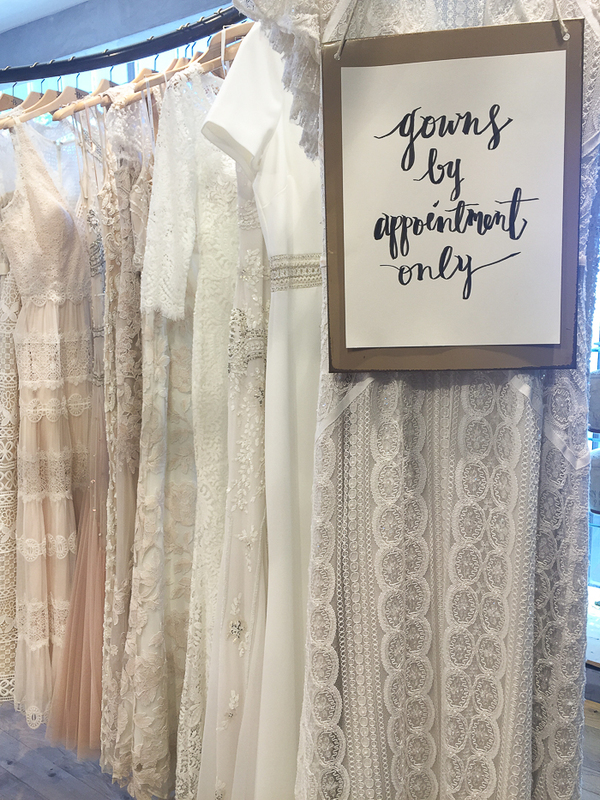 Only two fitting rooms are reserved for BHLDN, the rest are for Anthropology customers. Bridal gowns are by appointment only, but my Mom and I were going to shop for bridesmaid dresses and the first time they let us go into the regular fitting rooms and the second trip to look for her dress they made us wait quite a while to use the BHLDN fitting rooms. I would just recommend called ahead for an appointment to be safe. You can easily see all of their selections online before going. Other boutiques would just list the designers offered. 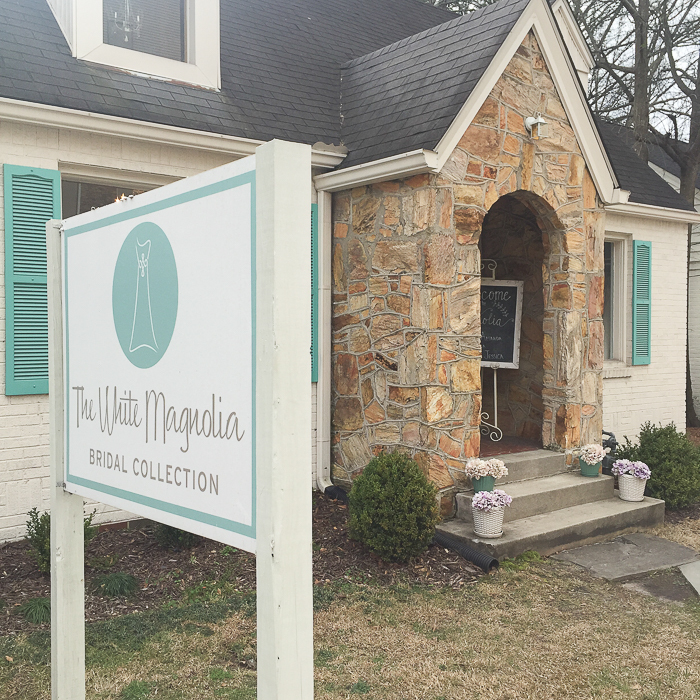 I didn’t visit this shop for my dress shopping experience but my sister-in-law went and it is so cute! 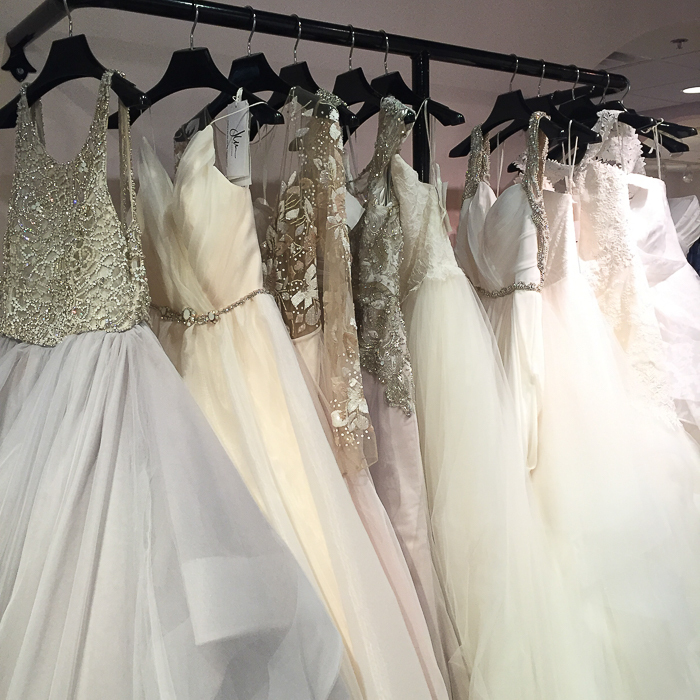 If you’re an Atlanta bride, where did you say yes to the dress? I’d love to hear about your experience!